To play this game you will need two trays of ice cubes, a large plastic cup for each team and chopsticks for each participant. Issue a pair of chopsticks to each young person and split them into two equal teams. Give each team one of the large plastic cups. Arrange chairs in a line for each team, sitting side by side in one row. On one side (next to the first person) place the tray of ice cubes on the floor and on the other side (next to the last person in row) place the plastic cup on the floor. The task of each team is to move the ice cubes using only their chopsticks from the tray to the plastic cup. The winner is the team that will have the most ice cubes in their cup by the end of the game. Team members can only use their chopsticks and can only move one ice cube at a time. 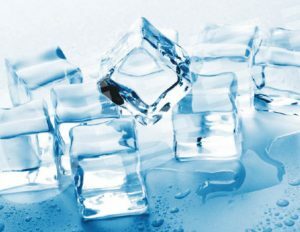 To play this game you will need plenty of ice cubes. Split the young people into teams. The object of the game is for each team within a specific amount of time to fill a cup with water using only the dripping water from melting ice. They may only use their hands to melt the ice. Only one ice cube can be melted at a time. In preparation, put a t-shirt into a bag full of water and freeze it. Taking a frozen t-shirt for each team, split the young people up into teams of 3 or 4 and hand them the frozen t-shirt giving them the challenge of thawing the t-shirt as quickly as possible so that they can wear it. Requiring each member of the team in turn to put the t-shirt on and take it off, before passing it on to the next team member. The winner is the first team that has thawed and all members of the team have put the t-shirt on and taken it off.